It's the final days before Black Friday, the official kickoff to the holiday shopping season, and the nation's top retailers are jockeying for position. At stake is potential record holiday spending. Among the deals designed to entice consumers is Best Buy's offer of a Toshiba 43-inch 4K smart TV for $129.99. Target plans to offer an Element 55-inch Smart 4K UHD TV for $199.99, available only in Target stores. Walmart is offering a $300 Walmart gift card with the qualifying activation of an iPhone Xs, iPhone Xs Max, or iPhone XR. It ups the ante to a $400 Gift Card with qualifying activation of Apple iPhone 8, iPhone 8+, or iPhone X. For its part, Amazon has been offering up deals for several days with its "Countdown To Black Friday" sale. 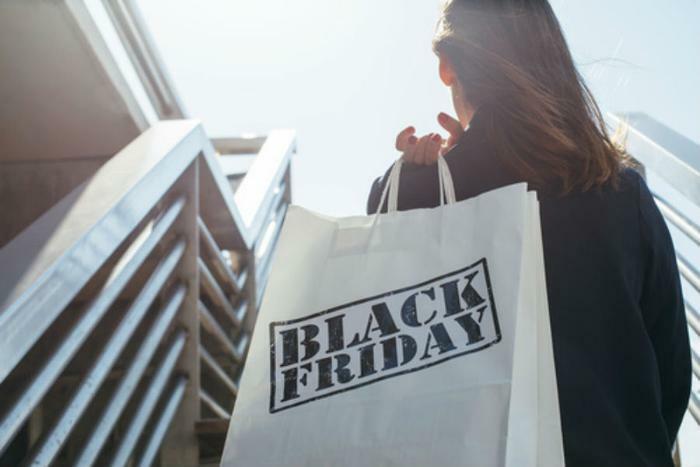 According to shopping site BestBlackFriday.com, the online retailer is sitting on its best deals and saving them for Thanksgiving, Black Friday, and Cyber Monday. Meanwhile, Target is looking ahead to next week, kicked off by Cyber Monday. However, the retailer is spreading the deals over the entire week, starting Sunday, Nov. 25. On Cyber Monday, Target will offer online shoppers 15 percent off on hundreds of thousands of items spread across all departments. Among the advertised deals is a Swagtron Metro hoverboard with LED lights for $150, regularly selling for $229.99. Deals on vacuums include the iRobot Roomba 960 for $449.99 and Dyson V8 Absolute for $349.99. More buying moves to online channels each holiday season, and the same is anticipated this year. An analysis by Internet Retailer projects consumers will spend nearly 120 billion online in November and December, a 15 percent increase over last year's total. The National Retail Federation (NRF) predicts total holiday spending will increase nearly 5 percent over 2017 and reach $720 billion, although other estimates suggest spending could top $1 trillion this holiday season. “Our forecast reflects the overall strength of the industry,” NRF President and CEO Matthew Shay said. “Thanks to a healthy economy and strong consumer confidence, we believe that this holiday season will continue to reflect the growth we’ve seen over the past year." NRF Chief Economist Jack Kleinhenz said consumers continue to do the heavy lifting to support the economy and attributes their efforts to robust job creation, higher pay, and tame inflation.